The biotech industry works hard to discredit any science demonstrating the health and environmental safety risks associated with the widespread adoption of genetically engineered crops and foods. However, a growing body of published scientific research shows clear and present risks to humans, animals and the environment as a result of GMOs and the pesticides used in GMO agriculture that are now pervasive in our ecosystem, diet and food production system. There are nine genetically modified (GM or GMO) food crops currently on the market: soy, corn, cotton (oil), canola (oil), sugar from sugar beets, zucchini, yellow squash, Hawaiian papaya, and alfalfa. However, in November 2013, USDA recommended that GMO apples be approved for commercial production, and FDA may approve GMO salmon - the first genetically engineered animal ever allowed for human consumption - in late 2013 or early 2014. Please see the executive summary of key research findings below. Also, for a more comprehensive reference, you can download for free GMO Myths and Truths, published by Earth Open Source. GMO DNA could cross-transfer into genes of plants, animals and humans; there is scientific evidence that it could jump species: GM DNA can persist in plant debris and soil residues long after the GMO crop has been cultivated, plus the GM transgene for glyphosate tolerance was found in human digestive systems after eating GMO soy; scientists also found that the GM genes transferred to bacteria in the human gut, according to a June 2010 report by the Institute of Science in Society. In fact, said the report, due to its inherent design to be able to “jump” into genomes, genetically engineered DNA may actually be more successfully transferred into other organisms. Institute of Science in Society, June 2010. Research carried out by a team at Sherbrooke University Hospital in Quebec and accepted for publication in February 2011 in the journal Reproductive Toxicology found that the toxic Bt insecticide protein Cry1Ab, engineered into GMO crops, was present in blood serum of 93% of pregnant women tested. The Bt toxin was also present in 80% of umbilical blood samples taken from fetuses, and in 67% of non-pregnant women. The researchers suggest that the most probable source of the toxin is GM food consumed as part of a normal diet in Canada, where GM presence in food is unlabeled. “To our knowledge, this is the first study to highlight the presence of pesticides-associated genetically modified foods in maternal, fetal and nonpregnant women’s blood. 3-MPPA and Cry1Ab toxin are clearly detectable and appear to cross the placenta to the fetus. Given the potential toxicity of these environmental pollutants and the fragility of the fetus, more studies are needed,” say the researchers. Aris A, Leblanc S. Maternal and fetal exposure to pesticides associated to genetically modified foods in Eastern Townships of Quebec. Reprod Toxicol (2011), doi:10.1016/j.reprotox.2011.02.004. Bt toxins derived from the Bacillus thuringiensis bacteria, traditionally used in topical applications on plants in organic gardening, were thought to be toxic only to insects. However, now that genetically engineered crops are designed to produce Bt toxins at the cellular level of the plant itself, recent studies are showing that such prolonged exposure to increased levels of Bt toxins in the diet could lead to red blood cell damage and possibly leukemia in mammals. In the 2013 Journal of Hematology & Thromboembolic Diseases, study author Belin Mezzomo of the Department of Genetics and Morphology and the Institute of Biological Sciences at the University of Brasilia reported that Bt toxins found in Monsanto’s GMO corn and soy crops are more toxic to mammals than previously thought. Tests demonstrated that “Cry” proteins resulting from Bt toxin were toxic to red blood cells and bone marrow cells. Scientists tested levels ranging from 27 mg to 270 mg over a seven-day period and found that the Cry toxins were hemotoxic, even at the lowest doses administered. Hemotoxins are known to destroy red blood cells, disrupt blood clotting and cause organ degeneration and tissue damage. Journal of Hematology and Thromboembolic Diseases, 2013. Citing USDA research data, Environmental Protection Act records, medical journal reviews, and international research, a team of specialists including Stephanie Seneff, Senior Research Scientist at MIT, and Dr. Tom O'Bryan, internationally recognized expert on gluten sensitivity and Celiac Disease, in September 2013 proposed that genetically engineered foods may be an important trigger for gluten sensitivity, estimated to affect 18 million Americans. In the report, “Can Genetically Engineered Foods Explain the Exploding Gluten Sensitivity,” published by the Institute for Responsible Technology, the authors relate genetically modified foods to five conditions that may either trigger or exacerbate gluten-related disorders, including the autoimmune disorder Celiac Disease: intestinal permeability; imbalanced gut bacteria; immune activation and allergic response; impaired digestion; and damage to the intestinal wall. Jeffrey Smith, Executive Director of the Institute for Responsible Technology, explained that genetically engineered Bt-toxin in corn “is designed to puncture holes in insect cells, but studies show it does the same in human cells. Bt-toxin may be linked to leaky gut, which physicians consistently see in gluten-sensitive patients." Although wheat has been hybridized through natural breeding techniques over the years, to date no GMO wheat has been approved for commercial planting and human or animal consumption. French scientists revealed in November 2012 in a study published in the Journal of Food and Chemical Toxicology that rats fed on GMO corn sold by US firm Monsanto suffered tumors and other complications including kidney and liver damage, in the first two-year study conducted on GMOs and health. Researchers from the University of Caen, led by Gilles-Eric Seralini, found that rats fed on a diet containing NK603 – a GMO seed variety made tolerant to amounts of Monsanto’s Roundup herbicide – or given water mixed with Roundup, at levels permitted in the US, died earlier than those on a standard diet. Fifty percent of male and 70% of female rats developed numerous tumors and died prematurely, compared with only 30% and 20%, respectively, in the control group. Under intense criticism by the biotech industry for publishing Seralini's findings, In November 2103, editor Wallace Hayes was compelled to ask Seralini to withdraw his research or it would be "retracted." Seralini responded that his peer-reviewed study followed international research guidelines. "We maintain our conclusions," Seralini refuted, claiming that "a factual comparative analysis" of the rat feeding trial by his group and safety trials conducted by multinational biotech corporation Monsanto "clearly reveals that if the Seralini experiments are considered to be insufficient to demonstrate harm, logically, it must be the same for those carried out by Monsanto to prove safety." In a study published in October 2012 in Environmental Sciences Europe by Washington State University researcher Chuck Benbrook, Ph.D., “Impacts of Genetically Engineered Foods on Pesticide Use in the U.S. – the First 16 Years,” GMO crops have increased overall pesticide use in the U.S. by 404 million pounds from 1996 through 2011. According to the USDA National Agricultural Statistics Service, glyphosate use alone increased by more than 6,500% from 1991 to 2010. Contrary to biotech’s claims that GMOs reduce the need for chemicals, overall pesticide use in 2011 was 20% higher on each acre planted to a GMO crop, compared to pesticide use on acres not planted to GMO crops, reported Benbrook. Herbicide-tolerant and Bt-transgenic crops now dominate U.S. agriculture, accounting for about one in every two acres of harvested cropland, and approximately 95% of soybean and cotton acres and more than 85% of corn acreage. Driving the increased herbicide usage are a growing number of “super weeds” – now estimated at more than two dozen – that have developed resistance to glyphosate, the major herbicide used on herbicide-tolerant GMO crops. Benbrook notes that many of these weeds are spreading rapidly in primary agricultural areas in the U.S., and that millions of acres are infested with more than one glyphosate-resistant weed. The presence of resistant weeds drives up herbicide use by 25% to 50%, and increases weed control costs for farmers by at least as much, Benbrook reported. Nancy Swanson, Ph.D., former staff scientist for the U.S. Navy and former professor of physics at Western Washington University, analyzed data in April 2013 related to the increased use of the synthetic herbicide glyphosate (Roundup®), an endocrine disruptor widely used in GMO agriculture, to the incidence of autism in children. Her findings indicated a strong direct correlation between the increased use of glyphosate in agriculture and the increased incidence of autism in children. Swanson also noted direct correlations between the use of glyphosate, which appears in the air, rain and water throughout the Midwest, with increases in other neurological diseases including ADHD, Bipolar Disorder, Alzeimer’s Disease, and senile dementia. See Swanson’s charts here: http://www.examiner.com/slideshow/gmos-glyphosate-and-neurological-disorders#slide=1. Dozens of cases of pesticide poisonings have been documented throughout Argentina that have been linked to industrial-scale, GMO agriculture and largely un-policed pesticide application in major agricultural areas of the country, according to an investigation conducted by the Associated Press and published in October 2013. Additionally, the nation’s agricultural areas are seeing dramatic spikes in the incidence of cancer, birth defects, miscarriages and other illnesses that may be related to “chemical cocktails” in the environment. Argentina is the world’s third-largest soybean producer, virtually all of which is genetically engineered to withstand applications of Roundup® (glyphosate) and other toxic, synthetic herbicides, including 2,4-D, or Agent Orange, which farmers are increasingly relying on as weeds and pests are becoming resistant to the GMO crops. Pesticide use in Argentina has increased nine-fold from 9 million gallons in 1990 to more than 84 million gallons today. Overall, Argentine farmers apply an estimated 4.3 pounds of agrichemical concentrate per acre, more than twice the amount U.S. farmers use, according to an AP analysis of government and pesticide industry data. Additionally, the AP investigation found that pesticide spray drifts often into schools and homes and settles over water sources; farmworkers mix poisons with no protective gear; villagers store water in pesticide containers that should have been destroyed. Now doctors are warning that uncontrolled pesticide applications could be the cause of growing health problems among the 12 million people who live in the South American nation's vast farm belt. In Santa Fe, researchers found cancer rates are two- to four-times higher than the national average, including breast, prostate and lung cancers. Researchers also found high rates of thyroid disorders and chronic respiratory illness. In Chaco in northwest Argentina near Paraguay, birth defects quadrupled in the decade after biotechnology dramatically expanded farming in Argentina, claim clinicians and researchers. One researcher, molecular biologist Andres Carrasco, Ph.D., of the University of Buenos Aires, published in the journal Chemical Research in Toxicology in 2010 findings that linked glyphosate to spinal defects, findings that were later rebutted by Monsanto. Monsanto’s corn that’s genetically engineered to kill insects may be losing its effectiveness against rootworms in four states, the EPA said. Rootworms in IA, IL, MN and NE are suspected of developing tolerance to the plants’ Bt insecticide, based on documented cases of severe crop damage and reports from entomologists, the EPA reported in a memo dated Nov. 22, 2011, and posted on a government website. Monsanto’s program for monitoring suspected cases of resistance is “inadequate,” the EPA said. Monsanto now recommends farmers use Smartstax corn, which the company claims kills rootworms with two types of Bt. Bloomberg News, Dec. 2, 2011. Weeds that are no longer killed by Monsanto’s Roundup herbicide, used heavily in genetically engineered crops, have invaded 14 million acres of U.S. cotton, soybean and corn, the vast majority of which is GMO, according to data presented by Swiss chemical maker and biotech giant Syngenta. A 2011 Dow Chemical Co. study found as many as 20 million acres of GMO corn and soybeans may be infested with Roundup-resistant “superweeds.”Bloomberg News, Dec. 2, 2011. In a study published April 10, 2013, in the scientific publication Entropy, researchers at the Massachusetts Institute of Technology linked the use of glyphosate, the active ingredient in Roundup®, the most widely used herbicide in the world and the one most closely associated with genetically engineered agriculture, to increases in the incidence of diabetes, autism, infertility and cancer in humans. Through the inhibition of a crucial enzyme, Cytochrome P450, glyphosate enhances the damaging effects of other food borne chemical residues and environmental toxins. Negative impact on the body is insidious and manifests slowly over time as inflammation damages cellular systems throughout the body, report the researchers, leading to gastrointestinal disorders, obesity, diabetes, heart disease, depression, autism, infertility, cancer and Alzheimer’s disease. Glyphosate’s Suppression of Cytochrome P450 Enzymes and Amino Acid Biosynthesis by the Gut Microbiome: Pathways to Modern Diseases, Anthony Samsel and Stephanie Seneff, Entropy 2013, Vol. 15, April 10, 2013. Glyphosate (Roundup®) is consistently found in rain, rivers, surface water and air throughout the entire growing season in agricultural areas in the Mississippi River watershed, according to USGS studies released in August 2011. Glyphosate is used in almost all agricultural and urban areas of the US. The greatest glyphosate use is in the Mississippi River basin, primarily for weed control on GMO corn, soybeans and cotton. Overall, agricultural use of glyphosate has increased from less than 11,000 tons in 1992 to more than 88,000 tons in 2007. "Though glyphosate is the mostly widely used herbicide in the world, we know very little about its long term effects to the environment," says Paul Capel, USGS chemist. The degradation product of glyphosate, aminomethylphosphonic acid (AMPA), which has a longer environmental lifetime, was also detected in streams and rain. USGS found glyphosate in more than 60% of air and rain sampled at locations in MI, IA and IN, with AMPA found in more than 50% of samples. U.S. Dept. of the Interior, U.S. Geological Survey Technical Announcement, Aug. 29, 2011. Don M. Huber, Ph.D., an emeritus professor at Purdue University who has done research for Monsanto on chemical herbicides, alleges that he has found a link between genetically modified crops and crop diseases and infertility in livestock: an "unknown organism" he and other researchers claim to have discovered in 2010 on Midwestern farms. Huber reported that the organism that raised his concern was found in much higher concentrations in corn and soybeans grown from genetically engineered Roundup Ready seeds than in grains grown from conventional seed. He believes the pathogen has made GMO soybeans more susceptible to “sudden death syndrome” and corn to Goss’ wilt; and reaffirmed his suspicion that it is linked to spontaneous abortions and infertility in livestock fed on GMO crops. "This organism appears new to science," Huber wrote in a letter in January 2011 to Agriculture Secretary Tom Vilsack. "I believe the threat we are facing from this pathogen is unique and of a high-risk status. In layman's terms, it should be treated as an emergency," Huber wrote. Los Angeles Times, April 2, 2011. European researchers at the University of Caen studied data on 90-day feeding trials on rats. They concluded that three varieties of GMO corn—Mon 810, Mon 863 and NK 603—which were approved for consumption by U.S., European and other food safety authorities—are linked to organ damage in mammals, including “adverse impacts on kidneys and liver, dietary detoxifying organs, as well as different levels of damages to heart, adrenal glands, spleen and haematopoietic system.” de Vendômois J.S., et. al., A Comparison of the Effects of Three GM Corn Varieties on Mammalian Health, International Journal of Biological Sciences, Vol. 5, December 2009. Genetically engineered Bt corn may constitute a risk for pollinators, such as honeybees, because of the presence of Cry1Ab endotoxin in corn pollen. Honeybee feeding behavior was affected when exposed to the highest concentration of Cry1Ab protein, with honeybees taking longer to imbibe contaminated corn syrup. Moreover, honeybees exposed to 5,000 ppb of Cry1Ab had disturbed learning performances in that they continued to respond to a conditioned odor even in the absence of a food reward. Results showed that GMO crops expressing Cry1Ab protein at 5,000 ppb may affect food consumption or learning processes and thereby may impact honeybee foraging efficiency. R. Ramirez-Romero, et. al., Does Cry 1 Ab protein affect learning performance of the honeybee Apis mellifera L., Ecotoxicology and Environmental Safety, Feb. 2008. The American Academy of Environmental Medicine, in May 2009 called for a moratorium on genetically modified (GM) foods, stating: “Avoid GM foods when possible... Several animal studies indicate serious health risks associated with GM food... There is more than a casual association between GM foods and adverse health effects. There is causation... The strength of association and consistency between GM foods and disease is confirmed in several animal studies." Genetically Modified Foods, American Academy of Environmental Medicine Position Paper, May 2009. Research by scientists in Mexico found transgenes from Bt corn had contaminated local native varieties of maize in Mexico, the birthplace of corn. This is the second time GMO contamination was found in the genes of native species of corn. The first paper reporting the presence of transgenes in traditional varieties of Mexican corn was published in Nature in 2001. Modified Genes Spread to Local Maize, NatureNews, November 12, 2008. 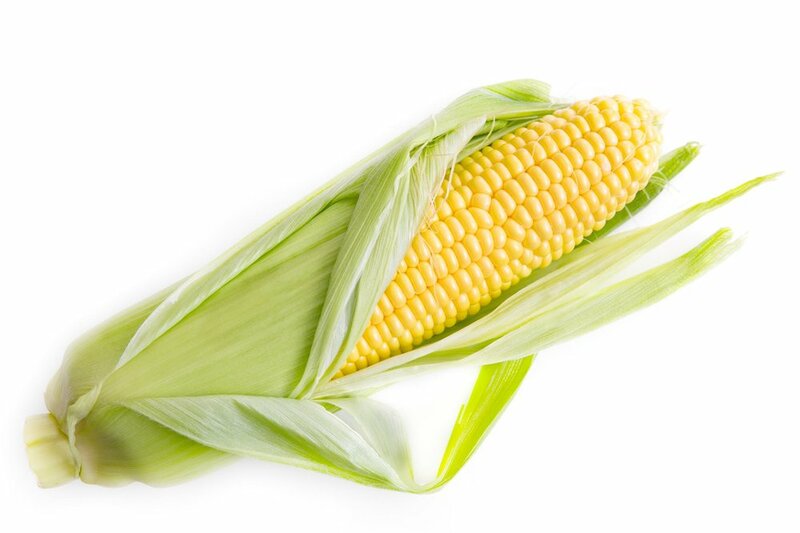 According to results from a long-term feeding study with mice, researchers in Austria concluded that consumption of a genetically modified corn developed by Monsanto (NK603 x MON810) may lead to lower fertility and body weight and impaired gene expression. The study has not yet been peer-reviewed but was released on Nov. 11, 2008, by the Austrian Ministry of Health, Family and Youth. Austrian Ministry of Health, Family and Youth. Italian researchers found significant disturbances in the immune system of young and old mice fed GM maize (MON810), and elevated levels of a cell type known to be associated with asthma and food allergies in children. Finamore A., et. al., "Intestinal and peripheral immune response to MON810 maize ingestion in weaning and old mice," Journal of Food and Agricultural Chemistry, November 16, 2008. Research compiled by Compass Natural Marketing, updated November 29, 2013. For more information contact info@compassnaturalmarketing.com, tel 303.807.1042. 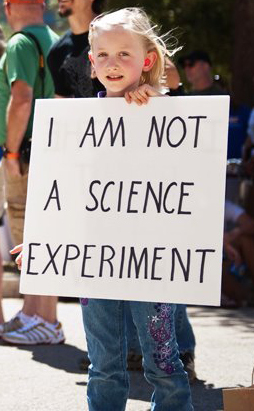 Older PostAfter Narrow GMO Labeling Defeat in Washington State, What’s Next?